Bob Creamer is a sportswriter and editor who has spent the majority of his career writing for Sports Illustrated. 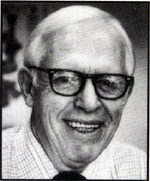 Creamer was one of the first members of the Sports Illustrated staff when he was hired in 1954. He worked as a Senior Editor for the publication, starting with its commencement until 1984. He was also the writer for the weekly Scorecard section of the magazine. Creamer is also noted for writing the most definitive biography of Babe Ruth, titled “Babe”, which was published in 1974. Creamer is now retired; however, he occasionally writes retrospective articles for Sports Illustrated. Mr. Creamer opted for a written exchange for his interview with BRC. We present the questions and answers below. BC A3: “Well, my interest in fine athletes goes back a long way before I joined Sports Illustrated. I instantly think of John Woodruff, an absolutely great half-miler, who won the Olympic 800-meter run in 1936. probably would have won it again in 1940 and 1944, except that there were no Olympic Games in those years because of World War II. BC A13: “I can’t be specific. I know that I went to ball games in Yankee Stadium once or twice a year in 1932, 1933 and 1934, usually double-headers. I know that each of the four or five times I was there, the Babe hit a home run… not in every game. He’d hit one in the first game of a doubleheader, but not in the second game; or, he might sit out one of the games in a doubleheader. But I do know that I was never disappointed, because he always came through with a homer when I was there. However, I cannot remember the first home run (I saw), as such. BC A15: “It wasn’t unique. Lots of children in that era ended up in orphanages for shorter or longer periods of time. My wife’s mother, who was born about the same time Babe was, was put in an orphanage at the age of seven or eight after her mother died. There were other children and her father was incapable of handling the family. Later, an older cousin took her in and raised her as her own daughter. I have to point out that my mother-in-law was wonderful — a sweet, considerate woman, who had to fend with lots of difficulties in her life, yet never lost her kind, gentle manner. I mention this only to reaffirm the old adage — different strokes for different folks.